The special election Saturday for House District 13 is on track for an overtime round late this summer. Jill Wolfskill and Ben Leman, candidates for Texas House District 13. The special election to fill ex-state Rep. Leighton Schubert's seat is headed to a runoff between the two Republican candidates. With all precincts reporting Saturday night, former Grimes County Judge Ben Leman led Bellville businesswoman Jill Wolfskill by 6 percentage points, 43 percent to 37 percent, according to unofficial returns. The third candidate in the race, Democrat Cecil Webster, had 20 percent. 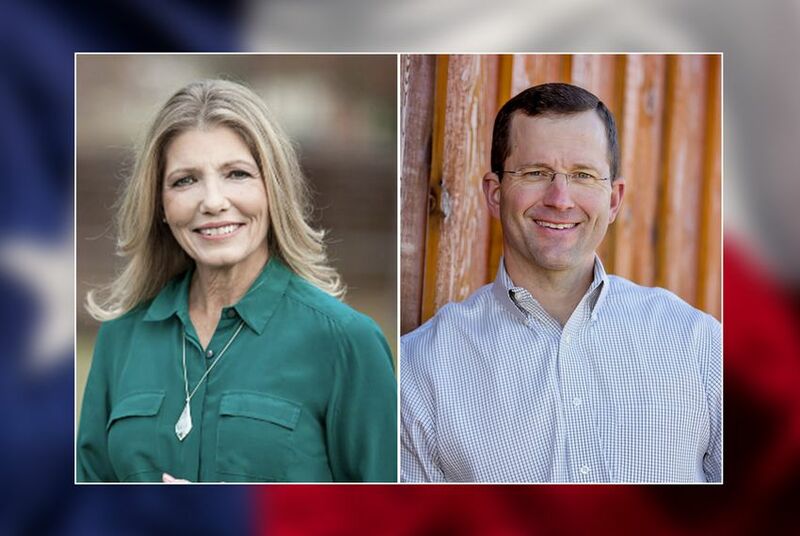 The runoff will likely be held in late summer in House District 13, a mostly rural district covering seven counties between Austin and Houston. The special election was called to finish the term of Schubert, a Caldwell Republican who resigned in February to take a job at a local junior college. He had already announced he would not seek re-election. Leman and Wolfskill are also in a May 22 runoff for the November election, which will determine who takes over the seat for a full two-year term beginning in January. Wolfskill was the top vote-getter in the five-way March primary, getting 38 percent of the vote to 36 percent for Leman. Webster is the Democratic nominee in the fall. The race between Leman and Wolfskill has grown contentious in the past few weeks. They have battled over toll roads, high-speed rail and, perhaps most pointedly, their biggest-spending backers — Associated Republicans of Texas for Leman and Texas Right to Life for Wolfskill. After finishing first Saturday night, Leman said "it’s clear that our campaign has strong momentum going into" the May 22 runoff. "I’ve run a positive campaign about my proven conservative record fighting illegal immigration and cutting taxes as County Judge and creating jobs in the district," Leman said in statement. "The campaign is not done. We will continue working hard, talking to voters and encouraging folks to come back out to vote in the Republican primary run off."